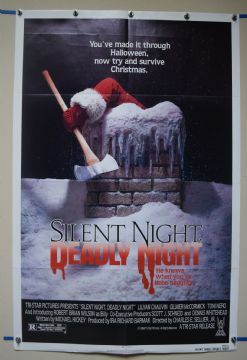 Silent Night Deadly Night (TriStar Pictures,1984) US One Sheet Poster Size 27" x 41"
Directed by Charles E.Sellier Jr. Starring Lilyan Chauvin and Gilmer McCormick. 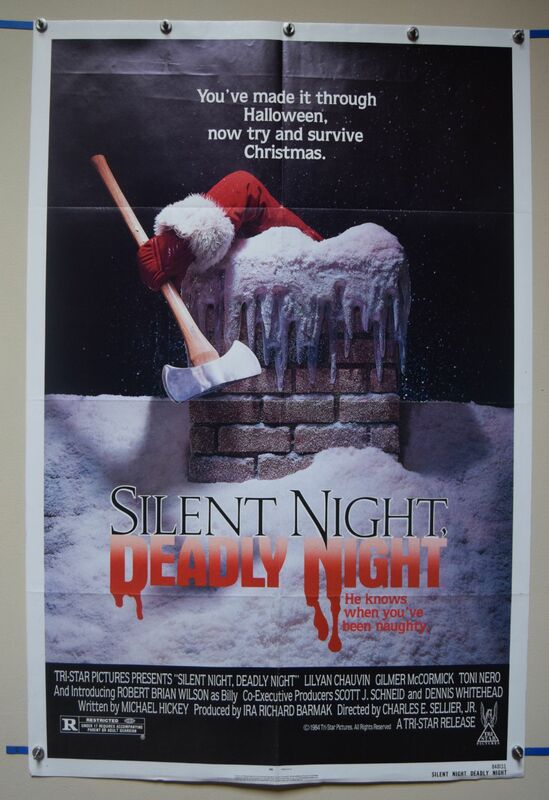 The most Insane Christmas poster of All-time! This poster has the lightest of edge wear. A fabulous image and a rare piece.